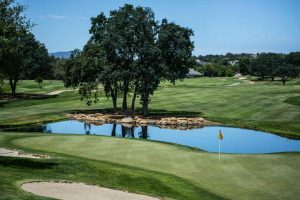 Getting started with golf can be very overwhelming at first – so many rules and so many different clubs, not to mention the lingo: birdies, bumps-and-runs, and bogeys! At EbalonGolf.com it’s a language we speak every day, but we understand that it could scare off prospective players before they even set foot on the golf course. It’s for this precise reason that we have put together this guide to beginner golf tips, specifically designed for players in Australia and New Zealand. So sit back, relax and allow us to get you started. Players are allowed to have a maximum of 14 clubs in their bag and many other golf beginner tips will have you believe that you need all of those to get started. This is, however, entirely untrue. Golf equipment is expensive, and there is no need to empty to your account before you’ve worked on your imperfect skills. All you really need to get started is a driver, a putter, and a sand wedge. Once you feel that you have maximised the effectiveness of these tools and feel that you are up to- expanding your collection, add a 6-iron, 8-iron, a pitching wedge, and a fairway wood or hybrid with 18-21 degree of loft. These are the clubs that are the most forgiving and the easiest to get airborne. Why do I want to play? If it’s just for social reasons, you probably only need some basic instructions and some tolerant friends. If you want to play on a more professional level, you will need to find an instructor. Thanks to the wide range of high-class golf courses in Australia and New Zealand, finding an instructor won’t be difficult. How much time and money are you willing to expend on golf tips for beginners? If you’re just picking golf up as a hobby, you can probably get by with some online golf tutorials and perhaps a book or two, but once again if you’re looking for a more professional level, it will require a lot more time and money. So you’ve got your equipment, some basic instructions and a few patient friends, so it’s time to hit the range. You may be tempted to see how far you can hit that ball, but resist the temptation to start ripping drivers. You may end up impressing yourself, and even your friends, but purposefully swinging for maximum distance will quickly throw you out of sync. Start by warming up your golf muscles with half-swings by using your wedges or short irons, and as you build up your golfing strength, move onto middle irons. Work your way up to using your driver, and once you’ve wacked some balls with it, move back to a short iron or wedge. Golf beginner tips advise new betting sites players to focus on tempo and tension-level. Once you feel that you have maximised our EbalonGolf.com golf tips for beginners, it will be time to head to a proper golf course. We suggest getting started with small courses that welcome beginners in Australia and New Zealand, and if a caddy option is available be sure to accept. A caddy is not only there to carry your bag, but will also offer you invaluable advice about which club to use when as they know the course like the back of their hand.